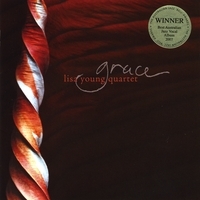 Lisa Young is well known to World and Jazz Music listeners as a creative vocal stylist and improviser, incorporating Indian and African elements in her work. A longtime student of maestro Guru Kaaraikkudi Mani in Chennai, India, Lisa specializes in Konnakol - South Indian vocal percussion. She has studied South Indian music since 1994, both in Australia and in India. In 2010 she received the Monash-Pratt Post Graduate Award for her PhD Music Performance candidature at Monash University. 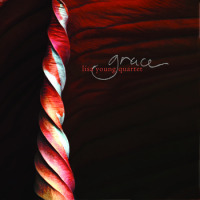 Lisa Young Quartet's album Grace won the prestigious Bell award for Best Australian Vocal Jazz Album in 2007. Following that, In 2008, Young received an Australia Council Project Fellowship enabling her to further her study in India and compose new vocal works. 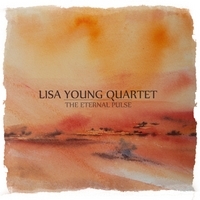 Her quartet premiered their new song cycle The Eternal Pulse at the Melbourne International Jazz Festival in 2011, releasing the CD in 2012 In Australia and in 2013 Worldwide. The album was a finalist in 2012 Bell Awards Best Australian Vocal Album. It features compositions by Young in collaboration with bassist Ben Robertson and K. Mani containing passages of Konnakol and rhythmic recitations, layering Indian elements, rhythmic textures and ensemble dialogue, in an evocative journey of sound and song. Lisa is a founding member of all female vocal group Coco’s Lunch. Her composition Thulele Mama Ya won Best Folk/World Song in the prestigious Contemporary A cappella Recording Awards in the USA. Coco’s Lunch has recorded 6 CDs of original music receiving 2 ARIA nominations, and toured extensively, performing to packed houses throughout the world. Renowned as a passionate and engaging workshop leader, Young’s workshops use chants, songs, vocal percussion, and simple percussion parts to inspire singers to explore rhythm, harmony and improvisation. She works with song form, wordless pieces, and movement encouraging a great love of rhythm and using the voice as a colorful instrument. Choirs throughout the world perform Young’s works. She has recently composed commissioned music for the Australian Voices Choir named 'Other Plans’, which was performed throughout their recent European and Australian tour. She composed children’s songs for the television show Playhouse Disney (Australia, Asia, Playhouse Disney Channel), as well as theme songs/ soundtracks for ‘Conversations with Women Writers’ screened on SBS, ABC (Australia) and Worldwide, and 2012 short film “Happy Birthday” (premiered at Cannes Film Festival May 2013). Young serves as a vocal teacher at the Victorian College Of Arts, Melbourne, Australia. Lisa Young has performed world-wide, amongst others in: Melbourne International Jazz Festival, MELBOURNE WOMEN’S INTERNATIONAL JAZZ FESTIVAL - Opening concert @ BMW Edge, Borneo Jazz Festival, POLYFOLLIA 4TH WORLD VOCAL SHOWCASE (FRANCE), SYDNEY OPERA HOUSE: Utzon Room Music Series Sellout concerts, TELSTRA DOME - Days In The Dioceses, 7th INTERNATIONAL TAIPEI CHORAL FESTIVAL, Festival Vancouver (CANADA), Voicemania @ Porgy & Bess (Austria), THE FAMOUS SPIEGELTENT, ‘One Year to the Olympics Celebrations’ at Australian High Commissions in Singapore, Laos. Lisa Young Rehearsing With Gondwana Choirs: "Tha Thin Tha"
“Totally engaging… her art is an awesome rhythmic control. Not to be missed, this is one out of the box.” - Leon Gettler, The AGE, Australia. “Young has developed a fine vocal instrument, dark and rich, with a rare confidence when improvising… Indeed, it’s a rare vocal album where the wordless tracks… are the most interesting. That’s the case here. But everything on this fascinating session is of interest” - David Dupont CADENCE Mag., USA. An intelligent, loving, and unforced marriage of two great musical traditions - Doug Spencer, ABC radio, Australia. Remarkable grace in amazing voice - Jessica Nicholas, The Age, Australia. 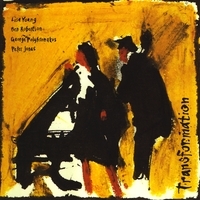 The topography crosses Jazz, Indian and African terrain..
The topography crosses Jazz, Indian and African terrain... Young opens with the stunning solo machine-gun fire of wordless vocals where the rhythms arerepeated, extended and then moved across the pulse….. electrifying - Leon Gettler, The Green Guide, The Age, Australia. Lisa Young’s flexible voice and brilliant musicianship shines… - Amelia Alder, Vocal Australia, Australia. Words seem inadequate to describe the uniqueness of this extraordinary singer. A stunning vocal talent. - Billy Pinnell, The Mag, Australia. Young showed amazing oral dexterity throughout the performance and produced pure, true vocals. It’s a testament to her that, despite there being no lyrics, the performance was incredibly engaging and accessible - Rachel Ross, artsHub, Australia. Vocal Tutor, Contemporary Music stream at Victorian College of the Arts, Melbourne University, Southbank Campus. Northern Metro Institute of Technology (NMIT) VCE solo and group performance. Guest Seminar presentations at VCA, NMIT (industry day). Using chants, songs, soundscapes, vocal percussion, and simple percussion parts, Lisa inspires singers to explore rhythm, harmony and improvisation. She works with song form, wordless pieces, and movement encouraging a great love of rhythm and using the voice as a colorful instrument. The repertoire is predominently original, however she also includes music from a variety of streams. Lisa has composed extensively for choirs and her works have been performed throughout Australia, across Europe and Canada and the USA. Recently Lisa has been guest workshop presenter for The Australian Voices Festival in Kennillworth Queensland, Young Voices of Melbourne, Bendigo Youth Choir, Brisbane Girls Grammar School, St Columba Anglican School in Port MacQuarie and Vocal Australia. Lisa has given workshops for The Orff Society, ASME (The Australian Society for Music Education), and she was a ‘Song Writing’ Artist In Residence at Preshil School, Melbourne. She has directed and composed mass choir works for The Big Sing and Festival Fremantle, Melbourne A cappella Festival and Ettalong Festival. All About Jazz musician pages are maintained by musicians, publicists and trusted members like you. Interested? Tell us why you would like to improve the Lisa Young AU musician page.